This original Anointing Oil made in Israel by local perfumers using Galilee and Jerusalem Virgin Olive Oils and scented with flowers and herbs essences mentioned in the Bible and characteristic to the Holy Land. Genuine and of the highest quality The anointed person belongs to God in a special way. Oil is one of the symbols of the Holy Spirit; the presence of oil symbolizes Gladness, Peace and Happiness What does the anointing oil meaning; is anyone among you sick let him call for the elder of the church and let them pray over him anointing him with oil in the name of the lord and the prayer of faith will save the sick and the lord will raise him up. and if he has committed sins. he will be forgiven. Spring Nahal Store supports worldwide churches service and special prices for a large quantities and commercial.we can also print your logo stickers & pasted on each product. The Spring Nahal has a huge range of products in Christianity that fits the needs of believers and churches. This bottle of anointing oil features a sweet-smelling mixture of olive oil and incense. It echoes the incense offering brought in the Temple as well as the anointing oil used to anoint kings and priests in ancient Israel. The ingredients in the oil were produced in Israel. This anointing oil comes inside a small glass bottle with a removable lid and can be used as a perfume. This anointing oil is a great gift for special occasions! 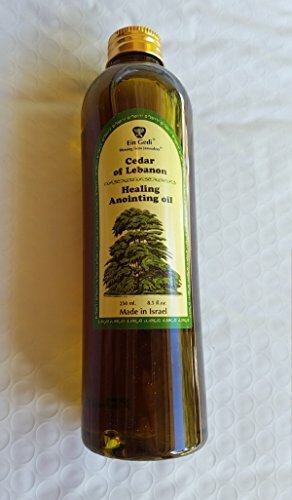 Cedars of Lebanon Oils Cedars of Lebanon is the strong, fragrant wood used to build David's house, Solomon's house and much of the First Temple. It was also used along with hyssop in the cleansing of a leper's house. It speaks of strength, permanence and wholeness. Ps 92:12 "The righteous shall flourish like the palm tree: he shall grow like a cedar in Lebanon." This original Anointing Oil made in Israel by local perfumers using Galilee and Jerusalem Virgin Olive Oils and scented with flowers and herbs essences mentioned in the Bible and characteristic to the Holy Land. Genuine and of the highest quality The anointed person belongs to God in a special way. Oil is one of the symbols of the Holy Spirit; the presence of oil symbolizes Gladness, Peace and Happiness What does the anointing oil meaning; Is anyone among you sick let him call for the elder of the church and let them pray over him anointing him with oil in the name of the lord and the prayer of faith will save the sick and the lord will raise him up. and if he has committed sins. He will be forgiven. 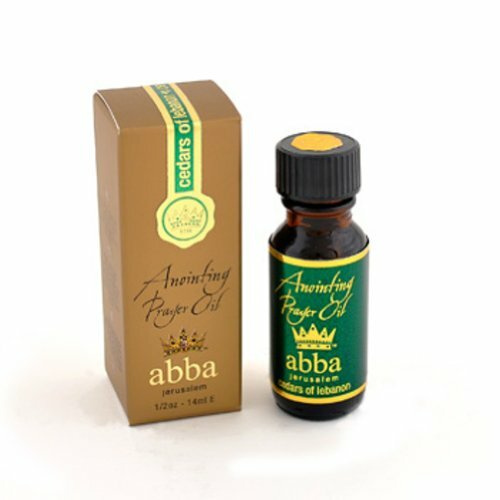 Looking for more Lebanon Anointing Oil similar ideas? Try to explore these searches: Steel Bone, Whirlpool Appliance Repair, and Strong Scent. Look at latest related video about Lebanon Anointing Oil. Shopwizion.com is the smartest way for online shopping: compare prices of leading online shops for best deals around the web. 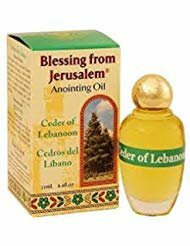 Don't miss TOP Lebanon Anointing Oil deals, updated daily.